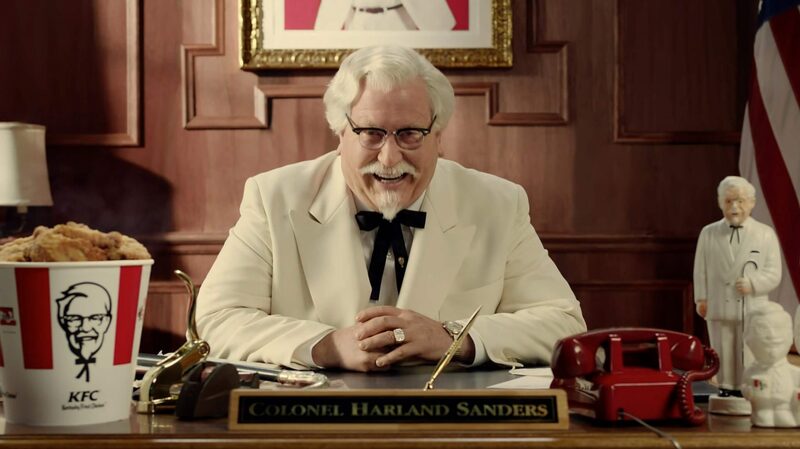 Colonel Harland David Sanders was an American businessman. He was born on September 9, 1890. He was best known for own founding fast food chicken restaurant chain Kentucky Fried Chicken (now known as KFC). He also acted as the company’s brand ambassador and symbol. Even now his name and image are symbols of the company. Harland David Sanders was born on September 9, 1890, in a four-room house. His house was located 5 km east of Henryville, Indiana. He was the oldest of three children. His parents Wilbur David and Margaret Ann Sanders. His family attended the Advent Christian Church. His family was of Irish and English ancestry. His father was a mild and affectionate man. He worked his 80-acre farm, until he broke his leg after falling. After this he worked as a butcher in Henryville for two years. Sanders’ mother was a devout Christian. She was a very strict parent. She continuously warned her children of “the evils of alcohol, tobacco, gambling, and whistling on Sundays. One day in 1895, his father came home with a fever and died later that day. His mother obtained a work in a tomato cannery. Young Harland was required to look after and cook for his siblings. At the age of seven, he was skilled with bread and vegetables, and improving with meat. When he was 10 years old, he began to work as a farmhand. In 1902, his mother remarried to William Broaddus and the entire family moved to Greenwood, Indiana. He had a defending relationship with his stepfather. He dropped out of seventh grade and went to live and work on a nearby farm. At 13, he left home. After this he did the job of painting horse carriages in Indianapolis. At the age of 14, he moved to southern Indiana to work as a farmhand. In 1906, Sanders left the area to live with his uncle in New Albany, Indiana, with the firm approval of his mother. His uncle worked for the streetcar company, and provided him a job as a conductor. After so much hush, in 1909, he found laboring work with the Norfolk and Western Railway. While working on the railroad, he met Josephine King of Jasper, Alabama. They were married shortly afterwards. They had a son, Harland, Jr., who died in 1932 from infected tonsils, and two daughters, Margaret Sanders and Mildred Sanders Ruggles. He then found work as a fireman on the Illinois Central Railroad. After this he and his family moved to Jackson, Tennessee. Sanders studied law by correspondence through the La Salle Extension University. He lost his job at Illinois after fighting with a colleague. It was this time when he moved to work for the Rock Island Railroad and Josephine and the children went to live with her parents. After some time Sanders began to practice law in Little Rock. He did this for three years and earned enough fees for his family to come back and live with him. But his happiness was short lived. His legal career ended after a courtroom brawl with his own client. After all this Sanders moved back with his mother in Henryville. He went to work as a laborer on the Pennsylvania Railroad. In 1920, Sanders established a ferry boat company. His company operated a boat on the Ohio River between Jeffersonville and Louisville. He discussed for funding, becoming a shareholder himself, and was appointed secretary of the company. This was an instant success. In 1922 he took a job as secretary at the Chamber of Commerce in Columbus, Indiana. He admitted that he was not very good at the job and even resigned in less than a year. Sanders moved to Winchester, Kentucky. He worked as a salesman for the Michelin Tire Company. He lost his job in 1924 when Michelin closed their manufacturing plant. In 1924, by chance, he met the general manager of Standard Oil of Kentucky. He asked him to run a service station in Nicholasville. In 1930, the station closed. This was a result of the great depression. In 1930, the Shell Oil Company offered Sanders a service station in North Corbin, Kentucky and that too rent free. They offered him this in return for paying them a percentage of sales. He began to serve chicken dishes and other meals. In the beginning he served the customers in his adjacent living quarters. This was before opening a restaurant. It was during this period that Sanders was involved in a shootout with Matt Stewart who was a local competitor. This happened over the repainting of a sign directing traffic to his station. Stewart killed a Shell official who was with Sanders. He was convicted of murder, eliminating Sanders’ competition. Harland was commissioned as a Kentucky Colonel in 1935 by Kentucky governor Ruby Laffoon. Soon his popularity grew. In 1939, food critic Duncan Hines visited Sanders’s restaurant. He included it in Adventures in Good Eating, his guide to restaurants throughout the US. The entry in it read: Corbin, KY. Sanders Court and Café 41 — Jct. with 25, 25 E. ½ Mi. N. of Corbin. Open all year except Xmas. A very good place to stop en route to Cumberland Falls and the Great Smokies. Continuous 24-hour service. Sizzling steaks, fried chicken, country ham, hot biscuitsIn July 1939, Sanders acquired a motel in Asheville, North Carolina. The North Corbin restaurant was destroyed in a fire in November 1939. Sanders rebuilt it as a motel with a 140-seat restaurant. By July 1940, Sanders had finalized his “Secret Recipe” for frying chicken in a pressure fryer. This cooked the chicken faster than pan frying. When United States entered World War II in December 1941, gas was rationed, and as the tourists dried up. This was now when Sanders was forced to close his Asheville motel. He went to work as a supervisor in Seattle. He later ran cafeterias. He did this for the government at an ordnance works in Tennessee. This followed him as assistant cafeteria manager in Oak Ridge, Tennessee. He left Claudia Ledington-Price, as manager of the North Corbin restaurant and motel. In 1942, he sold the Asheville business and in 1947, he and Josephine divorced. Sanders married Claudia in 1949. He was “re-commissioned” as a Kentucky Colonel in 1950. This was done by his friend, Governor Lawrence Wetherby. 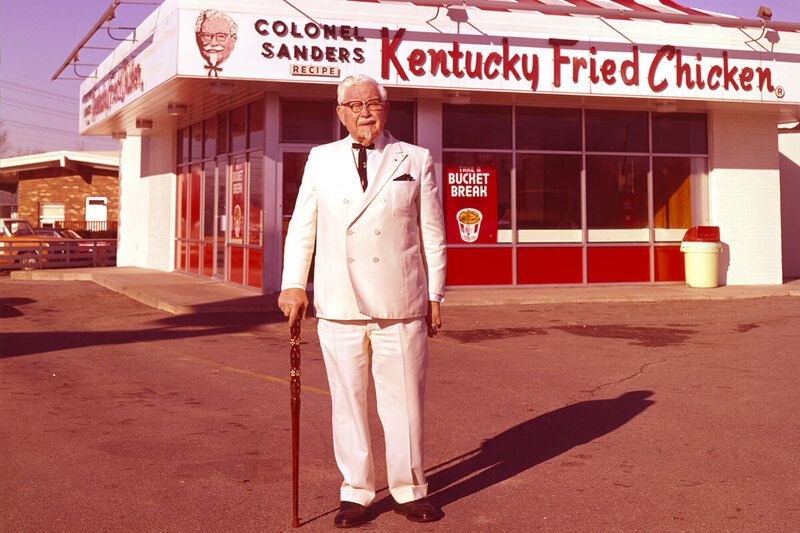 The world’s first KFC franchise was located in South Salt Lake, Utah In 1952, Sanders franchised his secret recipe “Kentucky Fried Chicken” for the first time. He franchised it to Pete Harman of South Salt Lake, Utah. Harman was the operator of one of the city’s largest restaurants. In the first year restaurant sales more than triple. 75% of the increase was coming from sales of fried chicken. For Harman, the addition of fried chicken was a way to differ his restaurant from competitors; in Utah. Don Anderson, a sign painter hired by Harman, coined the name Kentucky Fried Chicken. After success of Harman, several other restaurant owners also franchised the concept. They paid Sanders $0.04 per chicken. Sanders believed that his North Corbin restaurant would remain successful indefinitely. Unfortunately, he sold it at age of 65. Left was left only with his savings. He decided to begin to franchise his chicken concept in earnest. He traveled the US looking for suitable restaurants. After this he and Claudia opened a new restaurant. The company was headquartered in Shelbyville in 1959. He used to sleep in the back of his car and visited restaurants, offered to cook his chicken, and if workers liked it negotiated franchise rights. The franchise approach became highly successful. 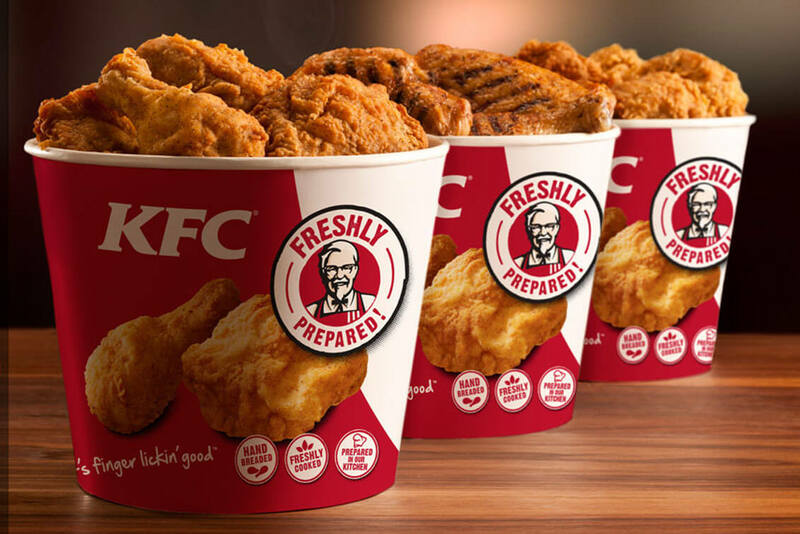 KFC was one of the first fast food chains to expand internationally, The outlets were opened in Canada and later in England, Mexico and Jamaica by the mid-1960s. He then obtained a patent protecting his method of pressure frying chicken in 1962. He trademarked the phrase “It’s Finger Lickin’ Good” in 1963. And the rest is history. KFC is the most loved and famous franchise till the date. Sanders was diagnosed with acute leukemia in June 1980. He died at Jewish Hospital in Louisville, Kentucky of pneumonia on December 16, 1980 at the age of 90. He remained active until the month before his death. His body lay in state in the rotunda of the Kentucky State Capitol in Frankfort. This was after a funeral service at the Southern Baptist Theological Seminary Chapel. His funeral was attended by more than 1,000 people. He was buried in his characteristic white suit and black western string tie in Cave Hill Cemetery which is in Louisville. 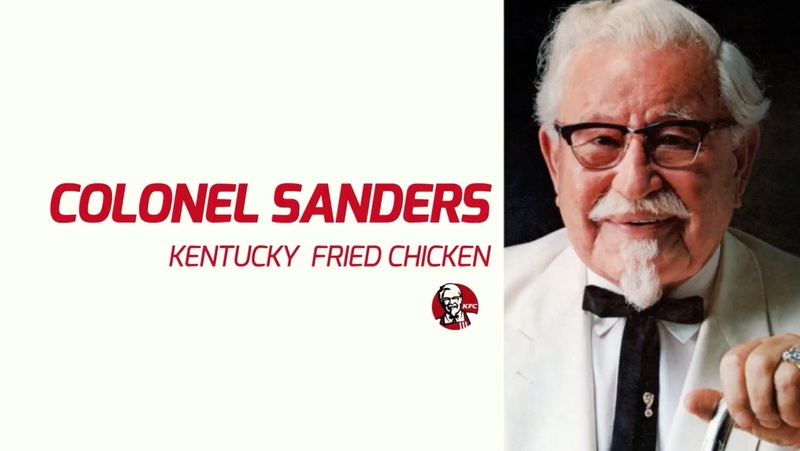 LEGACY At the time of Sanders’ death, there were almost 6,000 KFC outlets in 48 countries worldwide. This included $2 billion of sales annually.